When Jesus crosses paths with you, he reveals you for who you are. In response to him, people change—either making a turn for the better or taking a turn for the worse. A turn for the better means that Christian growth, or sanctification, is happening. But this is not the result of a single template of change. Because situations and persons come unscripted, fluid, and unpredictable, Jesus engages each person and situation in a personalized way. 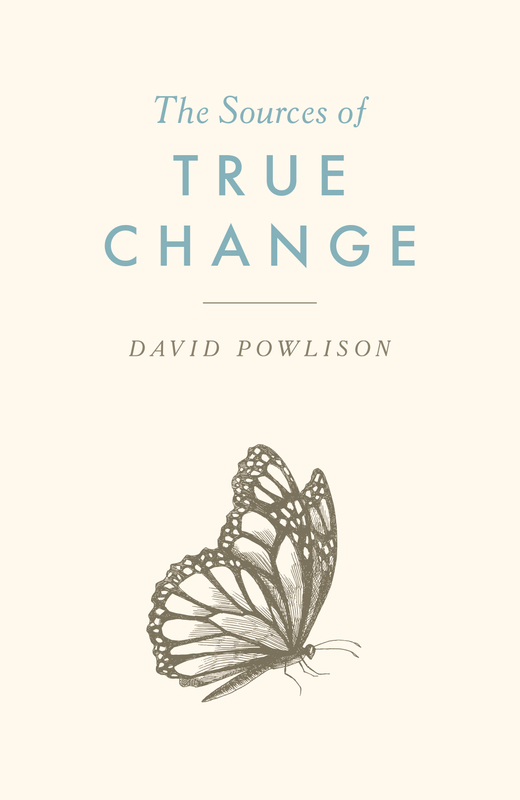 What are the sources of true change, and how does God work in those factors to transform your life? God intervenes in your life, turning you from suicidal self-will to the kingdom of life. He raises you in Christ when you are dead in trespasses and sins. He restores hearing when you are deaf (you could not hear him otherwise). He gives sight when you are blind (you could not see him otherwise). He is immediately and personally present, a life-creating voice, a strong and strengthening hand. All good fruit in our lives comes by the Holy Spirit. Jesus said it was better if he went away, because the Holy Spirit would come (John 16:7). The Holy Spirit continues to do the things that Jesus does— continually adding to the number of books that could be written. The stories we tell are not just about what has happened to us and what we’ve done. They are about what Jesus Christ has done as he goes about saving and sanctifying us through all our days. God communicates messages to us—many messages. Scripture speaks with a true voice into a world churning with false voices. Scripture reveals innumerable features of God’s person, purposes, will, promises, and actions. Scripture clarifies every facet of human experience. Of course Scripture and God work in harmony. In fact, all five dimensions are complementary—and all ultimately depend on the hand of God. One lovely expression of the interplay between the Word of God and the God of the Word occurs in Romans 15. Paul first points out how Scripture changes us: “Whatever was written in former days was written for our instruction, that through endurance and through the encouragement of the Scriptures we might have hope” (Romans 15:3). A few sentences later, Paul asks God himself to change us, to give us the very things that his Word calls for and calls forth: “May the God of hope fill you with all joy and peace in believing, so that by the power of the Holy Spirit you may abound in hope” (Romans 15:13). In Scripture, God comes in person. We participate by hearing and responding. Godly growth is most frequently mediated through the gifts and graces of brothers and sisters in Christ. At the most basic corporate level, you can’t call on God unless you believe in him; you can’t believe in him unless you hear of him; you can’t hear of him unless someone proclaims him (Romans 10:14). Good worship, preaching, teaching, prayer, and sacraments have radiant, fruitful effects. Similarly, the honesty and graciousness, humility and clarity, good sense and convictions of others have radiant, fruitful effects (James 3:17–18). Good role models make a huge difference (2 Timothy 3:10–11). It is a great mercy to know people who deal gently with your ignorance and waywardness, because they know their own weakness and sinfulness, and they know the mercies of Christ (Hebrews 5:2–3). It makes a huge difference when other people are able to comfort you in your afflictions, because God is bringing comfort into their afflictions (2 Corinthians 1:4). Jesus engages each person and situation in a personalized way. God works on us in the midst of trouble because trouble catches our attention. Difficulties make us need him. Faith has to sink roots, as profession deepens into reality. Martin Luther called affliction, trial, difficulty, and struggle the “touchstone” of Christian experience. He said that hardships were his greatest teacher because they made Scripture and prayer come alive. The difficulties that we experience necessitate grace by awakening a true sense of weakness and need. This is where the Spirit is working. People change because something is hard, not because everything goes well; something—including myself—is off. Ministry traffics in trouble because Christ enters trouble, lives through trouble, is unafraid of trouble, speaks and acts into trouble. Struggles force us to need God. And we learn to love the way Christ loves only by experiencing the hard things that he experienced in loving us. We turn—from darkness to light, from false gods to the only true God, from death to life, from unbelief to faith. You ask for help because you need help. You repent. You believe, trust, seek, take refuge. These are the fruitful characteristics of obedience to God and of a flourishing life. No one does any of this for you. You are not passive. You are not a puppet or a robot. You are 100 percent responsible, and yet you are 100 percent dependent on outside help. Any other way of putting it makes you either far too independent or far too passive. Notice, too, that none of these active verbs is a one-and-done. These are a way of life. As a Christian, you can rejoice in the transformation that God has made possible in your life. And since you have turned from darkness to light, you should now turn to your neighbor, your friend, your relative who does not yet know Jesus to share the wonderful news of what he has done and of what he is willing to do for all those who come to him.